Jim Smith is an internationally recognized artist from Chester Nova Scotia with a wonderful sense of design and colour. Jim came to us needing an update to his old static website that was difficult to update. 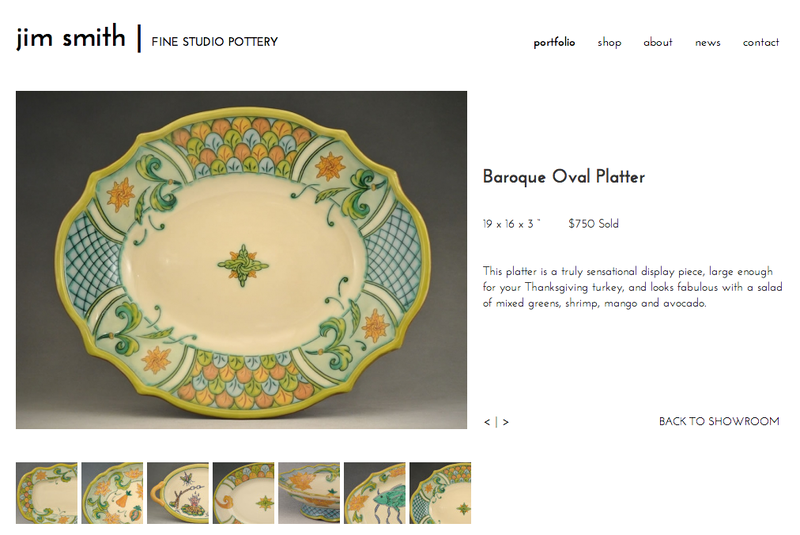 He required a site that was dead easy to update and sell his pottery. Being able to post a new piece as well as mark somethign sold was very important. The addition af a blog was also added. The site has a very clean simple look but as well as being very robust and functional.